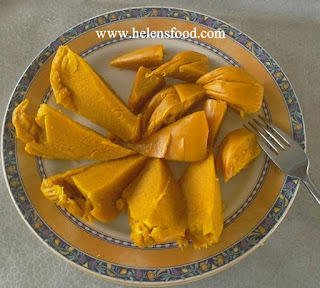 Okpa is a delicacy made from Bambara Nuts and rich in protein. 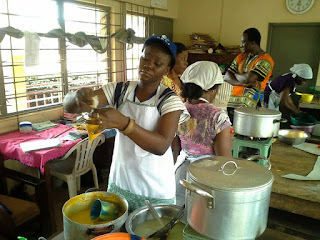 This food is unique with Nsukka people. 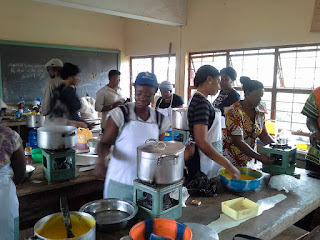 The nuts are grounded into powder many times before it can be used for food as okpa. 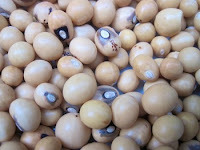 Some people cook the nuts and eat it like that jsut as you cook groundnuts. Most of us believe Okpa as a food, emanated from Nsukka, but most eastern parts of Nigeria now prepare it and for commercial purposes too. There is this popular. Ninth Mile corner Okpa which is usually very colourful. 1. One painter of Bambara nuts (Vigna subterranea) from which you will use 4 milk cups. 1. First dehusk the bambaranuts by grinding it the first time (not in power). Just like breaking it in two. The grinder should be very lose. 6. Make a whole at the centre and pour one butter cup (250g) of fresh red palm oil. 11. Start pouring the water little by little until it forms a consistency that is neither watery nor thick. You will know it is okay when you scoop it with your cooking spoon. If you see white tiny foams floating at the top, that may be a sign that it has turned watery and not going to turn out fine. Another tip is that you should not add hot water; it should be warm as earlier stated. Hot water makes the consitensy to be uneven after cooking. Cold water is not good either. It makes the okpa seem undone even after cooking it. 12. Add salt little by little and stir until it is ok on your tongue. 13. Add pepper. I love seeing strands of red fresh pepper in my okpa, so I don't fully grind it. It's just a matter of choice. 14. Stir and scoop quantity of choice in your moi moi-like mould or santana waterproof. Do not use the type called madam sorry. This will burst in the pot of hot water. Ensure to ask the sellers for okpa waterproof. They know it. 15. After one hour, your okpa should be ready for eating. 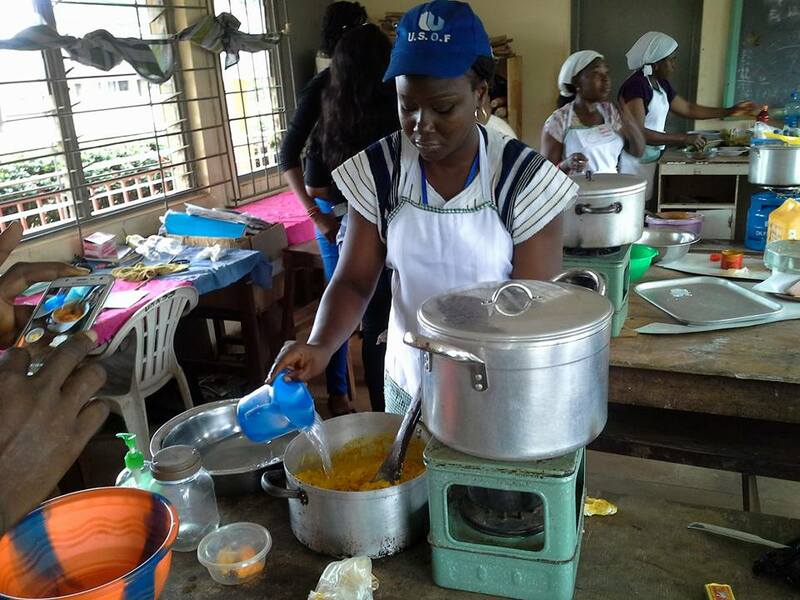 Good luck as you try your okpa, and don't forget to share your recipe with us by clicking here to submit. 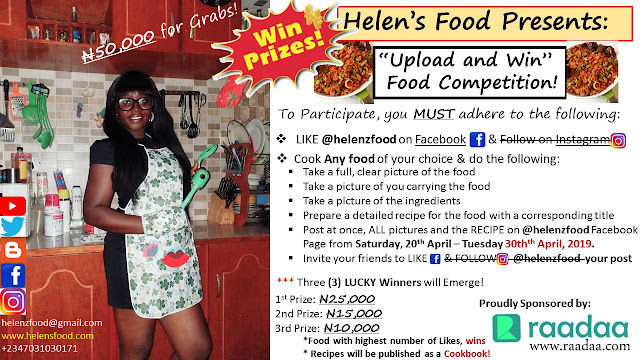 Helen's Food "Upload and Win" Competition!